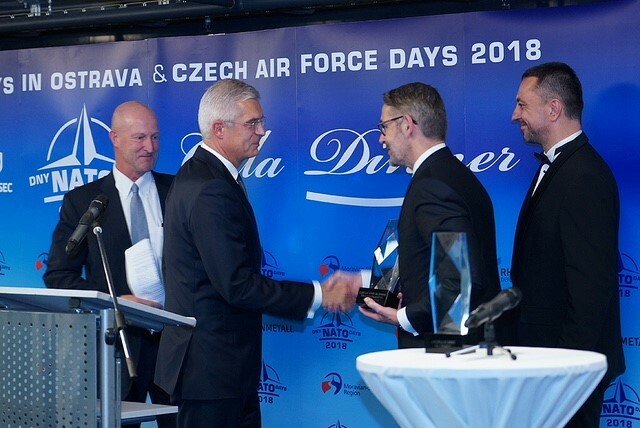 The annual Czech and Slovak Transatlantic Award is bestowed twice a year in cooperation with our partner Jagello 2000 – once at the Bratislava Forum and then at the NATO Days held in Ostrava. 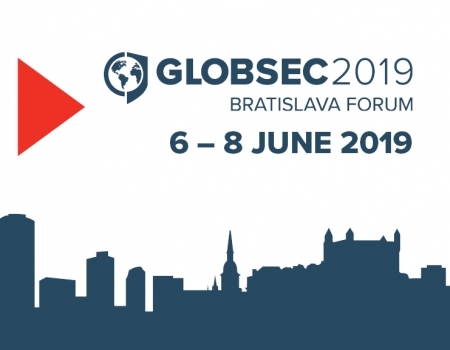 GLOBSEC is delighted to announce that the current Slovak Ambassador to the United States, Ivan Korčok, was the recipient of the second award. In doing so, Mr Korčok joins an illustrious group of previous awardees, including Madeline Albright, General (Retd.) John Allen, Michael Cherthoff, General Petr Pavel and Damon Wilson. 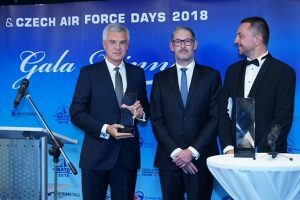 What follows is the laudatory speech delivered by former US Deputy Assistant Secretary of Defense Ian Brzezinski, as well as images of Mr Korčok receiving his award at the recent NATO Days Gala Dinner. Zbyněk, thank you for that generous introduction. President Vondrak, thank you for hosting this wonderful gala. 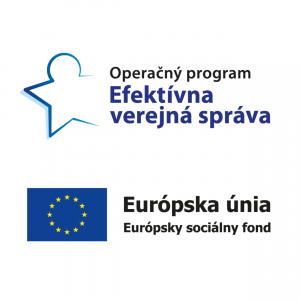 To all our colleagues from Jagello 2000 and the Slovak Atlantic Commission, thank you for establishing the Czech and Slovak Transatlantic Award. You gathered us this evening to honor those who have championed the noble causes of freedom and democracy in Central Europe, whose actions have strengthened the transatlantic community, and whose efforts have driven Central Europe’s integration with this unique and special community. In doing so, we also remind ourselves about the importance and value of the transatlantic community. This concept embodies the territories of Europe and North America, but it is about far more than just geography. It is about a community of states bound in their commitment to shared values of democracy, freedom, rule of law, and human rights. It is a community that is not just committed to but determined to defend and promote these values and principles. 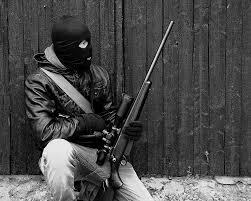 NATO and the European Union are the institutional embodiments of the transatlantic community. In a world of escalating political, economic, and military volatility, the collaboration facilitated by NATO and the EU to leverage the unmatched political legitimacy, economic strength, and military capacity of the transatlantic community has never been more essential. These two organizations are unmatched in their contributions to transatlantic prosperity, security, and freedom. But my focus tonight is Ivan Korčok. Ivan stands among those who not only understands the significance of these transatlantic values, commitments, and institutions but has dedicated much of his life to animate and strengthen them. He is a firm and unapologetic believer in the transatlantic community and the benefits it brings to the peoples of Central Europe. In his exceptional 26 years of public service as a Slovak diplomat, Ivan has ably served his nation—earning the respect and appreciation of policy makers on both sides of the Atlantic. He has contributed substantially to the evolution of the EU and NATO, as well as the relationship between the two. It is no surprise then that Ivan has an impressive resume. He served as foreign ministry state secretary twice—once when he was only in his thirties. He was Slovakia’s permanent representative to the EU; its ambassador to Germany; and deputy head of the Slovak mission to NATO. And He now takes on new responsibilities as Slovakia’s ambassador to the United States. 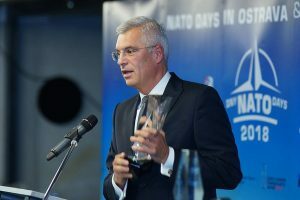 As state secretary from 2002 to 2005, Ivan played a leading role in crafting strategies for Slovakia’s accession to the EU. He personally led Bratislava’s negotiations that resulted in NATO membership for Slovakia in 2004. More recently, he oversaw Slovakia’s presidency of the Council of the European Union. Ivan brought to the important posts he has held a deep conviction that foreign policy is most effective when it is firmly rooted in engagement with the public and civil society. 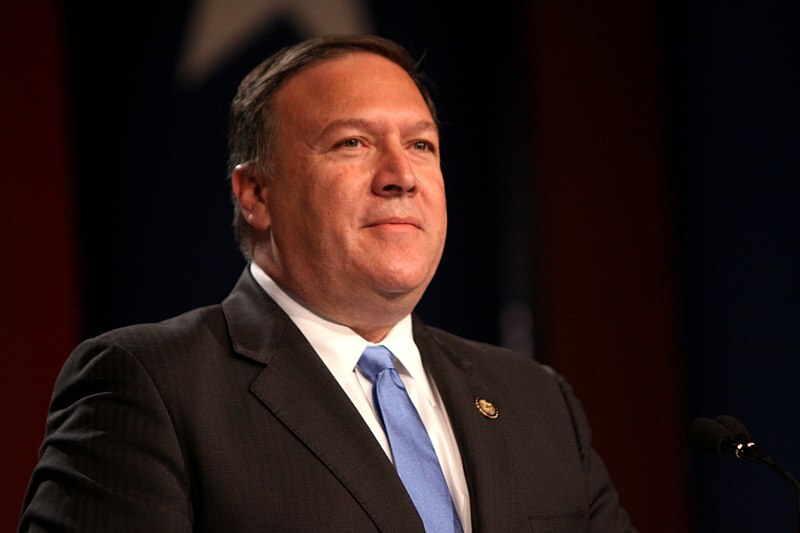 He has been an active supporter of institutions committed to transatlantic ideals. He is a founding member of the Centre for European Affairs and the Tatra Summit Conference. I have seen firsthand his important contributions to GLOBSEC’s initiatives. What strikes me most about Ivan has been his steadfast, indefatigable drive in support of transatlanticism. There was a time when NATO was not very popular among Slovakia’s political leadership and much of its public. 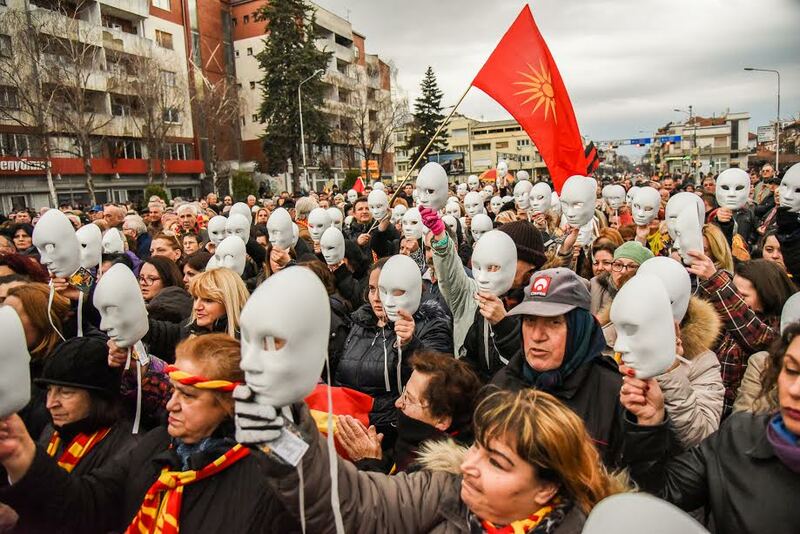 Yet, in his quiet, but clear, manner, Ivan Korčok, even as a young diplomat, argued forcefully for his nation to adopt a transatlantic agenda and to eventually pursue NATO membership. And he did that with some risk to his career, especially when Slovakia was passed over in the first tranche of post-Cold War invitees to NATO in 1997. Ivan was undeterred by that disappointment. In fact, it only made him more determined, more driven to explain to his own people the political, economic, and security advantages of transatlantic integration. 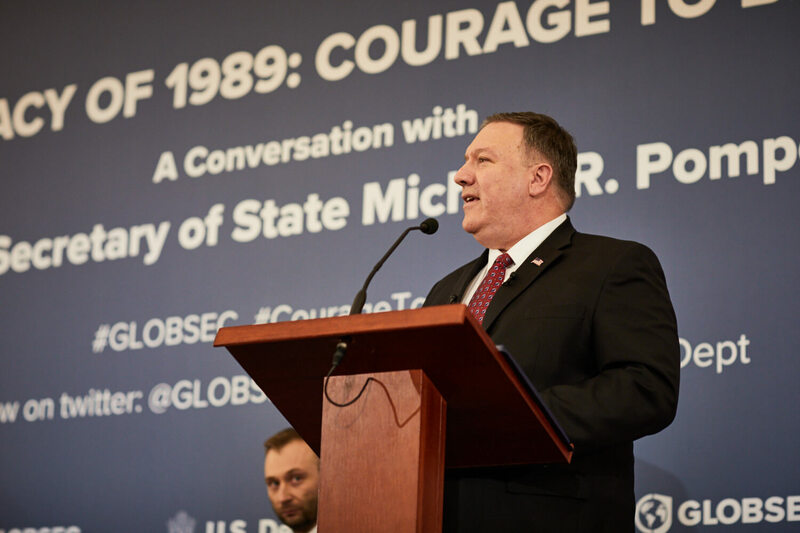 It energized him to explain to the rest of Europe and North America the value of Slovakia’s capacity, potential, and reliability as a full ally. In the period following 1997, this had to take some courage. Ivan Korčok’s vison and drive in no small way contributed to Slovakia’s accession to NATO and the EU. Slovakia and these two institutions are all better off today because of his statesmanship. Ivan, you have earned this recognition, but your work as a transatlanticist is far from done. 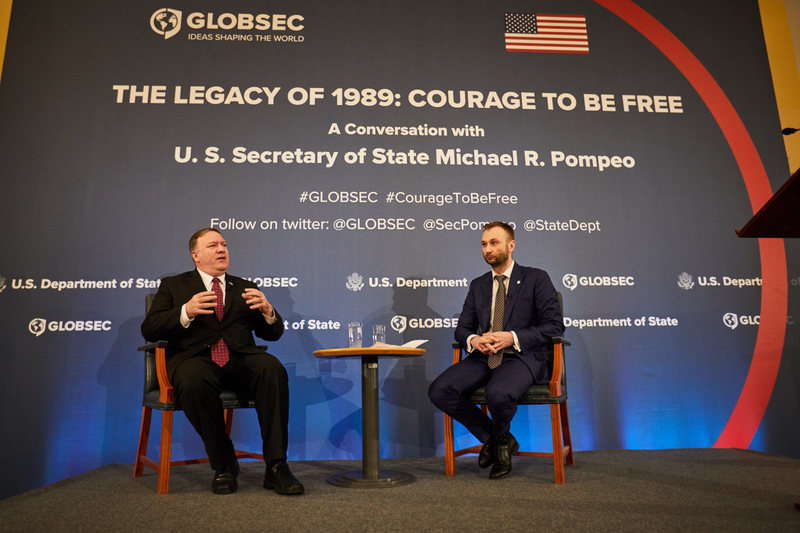 At a time when the transatlantic community’s principles, interests, and security face growing external challenges and when its institutions and commitments are being questioned internally, your voice, reasoning, and dedication to this community of democracies is needed now more than ever on both sides of the Atlantic. 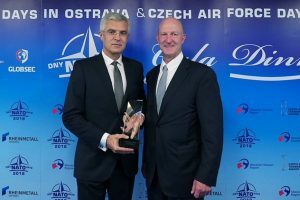 Ivan, congratulations on receiving this award and thank you for all you have done and continue to do for the betterment of our transatlantic community.